“In order to excel in a competitive environment, it is necessary to continue to upgrade.” Vincy says. 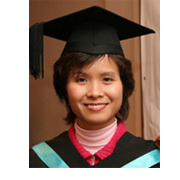 Vincy Tsui received her Diploma in Logistics Management at the Hong Kong University of Science and Technology in 2003 after finishing the Higher Certificate of Professional Secretaries at the Hong Kong Management Association in 1998. 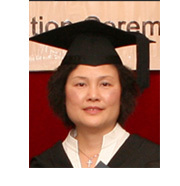 Since 2005, she has been employed as a secretary in one of the largest listed real estate developers in Hong Kong. From her upbringing as a native to Hong Kong and her work experience, Vincy learnt that in order to excel in a competitive environment, it is necessary to continue to upgrade herself and her skills. Having researched into several institutions locally and internationally, she chose to enroll in the Bachelor of Business Administration program at the University of Management and Technology, Arlington, VA, for its flexible and diverse teaching style. Secretary, Henderson Land Development Co. Ltd.
“Never expect knowledge comes unless you keep on learning.” Sunny says. 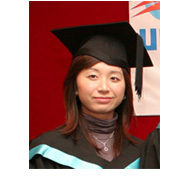 Sunny obtained a Higher Diploma in Computer Studies in City University of Hong Kong. 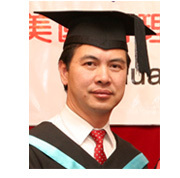 Currently, he is the Network Manager in one of the renowned international investment banks in Hong Kong. After promoting to the managerial rank, Sunny would like to learn more skills and techniques in managing resources and better equipping himself for facing the challenges ahead. He would also like to acquire more knowledge on how to run and administrate a business and diversify his exposure such that he could take a try in other sectors when opportunities arise. Because of the tight working schedule, Sunny has chosen UMT which provides a flexible curriculum to fit the needs of individual candidate and very useful learning materials. 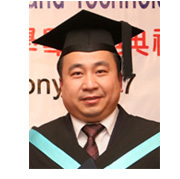 Through the studies, he could learn a lot of business theories and concepts from a lot of real business cases and at the same time complete his study without having any difficulties to the time spent with his work and his family. “The flexible program enables me to well plan my timing.” Kenneth says. My employer is a leading US buying office in the clothing industry in Hong Kong. 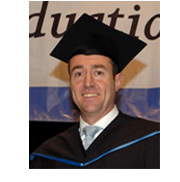 I have intensive managerial working experience and I look forward to upgrading my educational qualification, in order to meet broader and higher career opportunities. I strongly believe that through UMT BBA program, my knowledge and skill of general management has been enriched, which make may work more effective. 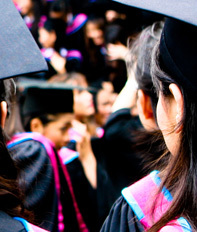 Being a professional manager in the industry, I am sure that I can rely on the US teaching style to obtain up-to-date international professional knowledge and experience to guide me through to future prospects. The flexible program enables me to well plan the timing with my demanding jobs, family and other commitments alongside the BBA studies. 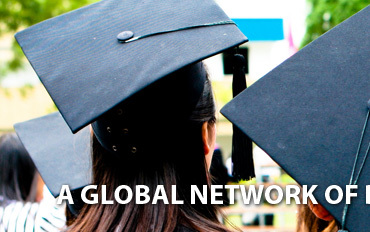 There isn’t any local institution can provide such as good and flexible BBA program. Merchandising Manager, Bay Apparel Ltd.
“I learn to think strategically, to communicate effectively and to work productively.” Irene says. As a BBA student at UMT, I have learn more management, finance and marketing which help me think strategically, communicate effectively and work productively. Teaching is conducted through lectures & seminars which were held by UMT academic staff and experience practitioners from the industries. A variety of teaching methods including case studies, business simulations & tutorials will be adopted. Apart from face-to-face teaching, I can have access to UMT’S web-based materials. The flexible time of distance learning program is much convenience for me. “I learn a clear concept from the study materials and how to make appropriate decision.” Agnes says. I am very appreciated with UMT’s US teaching style. 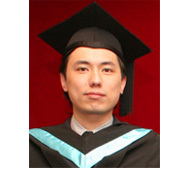 It allows me to complete the BBA program in China. During my study, I was pregnant. Despite a new challenge was coming in my life, I was very enjoying my studying time. UMT BBA program provided me a great support and guidance. It helped me create a systemically thinking to handle my routine office administrative matters and widen the knowledge to manage my own business. The most important thing for me is that I am able to learn a clear concept from the study material and generate more idea to make appropriate decision. Studying is long lasting and forever. Different stages are required different support and knowledge. The UMT’s case sharing allowed me to tackle lots of real business issues. All of these are very useful in my career. It builds me up with great confidence to face big challenges in future. Manager, Giliwa Enterprise Co. Ltd.
“I can finish the BBA within one year time.” Alan says. I am so proud that I was born in Hong Kong. Even though I finished my high school in Canada, I have found my English was not so good especially in writing. Since my return to Hong Kong many years ago I also found so hard to continue my further education as my shift work system did not allow me. Fortunately I met UMT which they provide me with flexible self-studying program and my oversea training and working experience were countable. Thus I can finish the BBA within one year time. I have to say thanks for UMT again. 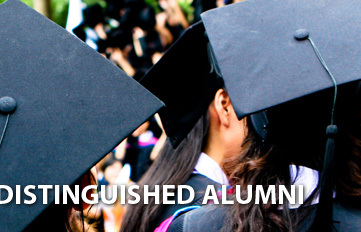 “Continuous learning is worth to do for a better future.” Alice says. Alice Chui was fond working of long work hours more than ten years in her company in the past. She prefers and enjoys looking her success job function, until she felt her lack of education was a liability in her job. Currently she has to manage the department of the company, she need working with other departments. This is the main reason for her to study BBA as she knows that she is lack of any business, administrative senses, and communication with internal and external customers. 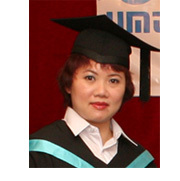 She chooses UMT because her company holding same in U.S. and the study time can be easily controlled herself. UMT can give us more foundations of all management level. Many of them are useful in her job. She says, “Continuous learning is worth to do for a better future.” But not only for her, will be for everyone. Senior Accounting Manager, BAX Global Ltd.
“Flexibility in a constantly changing Economic World is crucial for Success..” Andrew says. As Chief Information Officer for a Global MNC, managing Information Technology for over 6,500 users in today’s economic environment, requires more than just an in-depth knowledge of Technology - it requires the ability to understand and interpret key business drivers and deliver value added IT solutions to positively support the business in its quest for profitability and growth. In a constantly demanding and changing working environment, flexibility in delivering appropriate business solutions is mandatory. The ability to think laterally, and out of the box to deliver strategic and tactical solutions requires more than just the knowledge and skills in the Information Technology discipline. Gaining further in depth understanding within sales and marketing, finance and business development activities, further develops ones ability to deliver timely IT solutions to the business. Business knowledge, combined with the ability to be flexible in a constantly changing economic world, is therefore crucial for success. As my role requires a large degree of international traveling, the key requirement for me in selecting a program to enhance my business understanding and knowledge was flexibility and adaptability. Through the UMT BBA program, I was able to maximize the time I had available whilst traveling to complete reading and assignments to prepare me for the exams. The flexibility of the program ensured that I could attend tutorials as needed and online information and access to materials was always at hand; as well as UMT staff to assist if ever required. The UMT program has further equipped me with necessary knowledge that I may now apply in delivering further solutions and hence productivity, to my business.